Hebrew University Prof. Ilan Sela has won this years’ Kaye Award for Innovation for discovering the IAPV virus, which is linked to Colony Collapse Disorder, and for finding a solution to the problem. The Kaye Award for Innovation has been given annually since 1994 as a means to encourage faculty and staff at the Hebrew University of Jerusalem to develop innovative ideas with good commercial potential that benefit society at large. However, the treatment uncovered by Sela can save the world’s bee population, enabling farmers to continue to grow these crops without problems. Following Sela’s discovery of the IAPV virus and an American group linking it to Colony Collapse Disorder, a group of investors approached Sela and asked him to be the chief scientist at Beeologics, an Israeli start up whose mission is to control bee diseases and other pests. Three years after that, Sela discovered a method for controlling IAPV by silencing the expression of the viral genes via a new drug which succeeded to treat bees in 70 percent of the hives which it was tested in. Last year, Beeologics was considered such a great success that it was bought by Monsanto for $120 million and the product ‘Remebee’ is now on the market to assist farmers. “The expertise Beeologics has developed will enable Monsanto to further explore the use of biologicals broadly in agriculture. 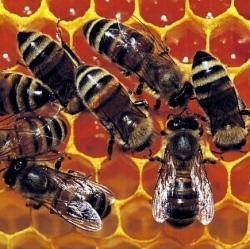 Monsanto will use the base technology from Beeologics as a part of its continuing discovery and development pipeline. Biological products will continue to play an increasingly important role in supporting the sustainability of many agricultural systems,” reads a statement on Beeologics’ website.